Environment - is nature the best designer? Environment – is nature the best designer? 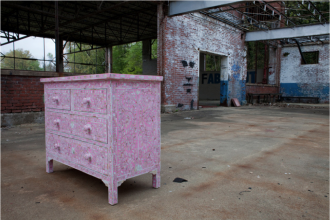 Furniture manufacturer Environment says it is. And their clients, which include Julia Roberts and Leonardo DiCaprio seem to agree. That said, they can also boast the services of Jean-Marie Massaud as their Creative Director along with fellow Italian’s Aldo Cibic and Alessandro La Spada, all with very impressive CVs, to give nature a helping hand. 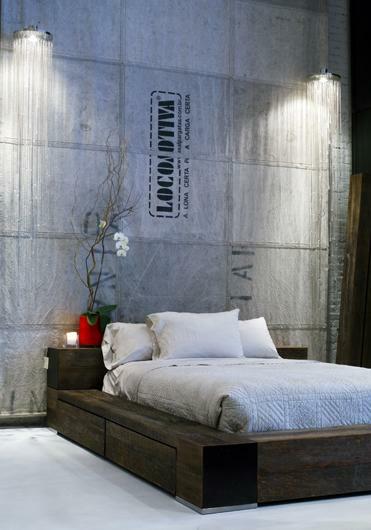 Environment takes its eco-credentials seriously using reclaimed, recycled and re-purposed woods and canvas. The designs show genuine respect for the materials allowing the natural qualities of wood to be fully apparent. They also actively raise awareness of environmental issues claiming the mission of ‘create beauty – respect the planet’. 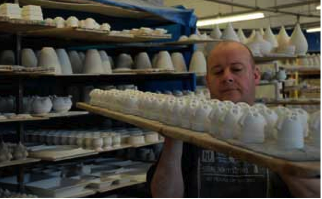 We sometimes struggle to find just four or five items of furniture to illustrate a manufacturers range while maintaining the interest of the reader. More than that and we think we are in danger of losing you. This time, however, we’re knocking ourselves out. The Environment catalogue features over a hundred pages of really lovely furniture. Here’s a selection. OK. If this doesn’t make you smile you we’re not sure what it’ll take. 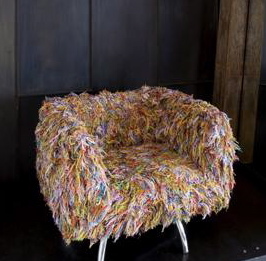 The Giramundo Swivel Chair is upholstered in recycled yarn, these richly colored scraps are hand woven and hand knotted together to make the soft and woolly cover. Nice office! 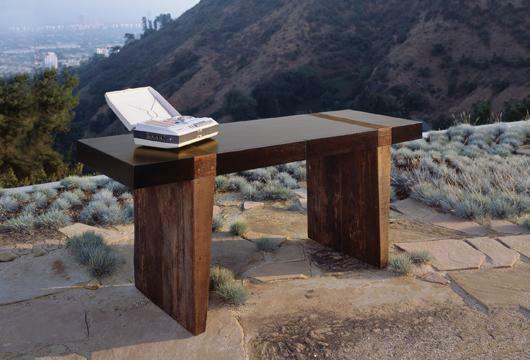 The Santos desk has tapered legs crafted from reclaimed Peroba Rosa wood from Brazil and a modern Mahogany top. Peroba boasts a rich range of colors: honeys, golds, browns and sometimes a little red. Environment tell us that The Beam Coffee Table was inspired by a play on opposites: the image of a weathered wood beam balanced atop a pair of thin, steel blades. 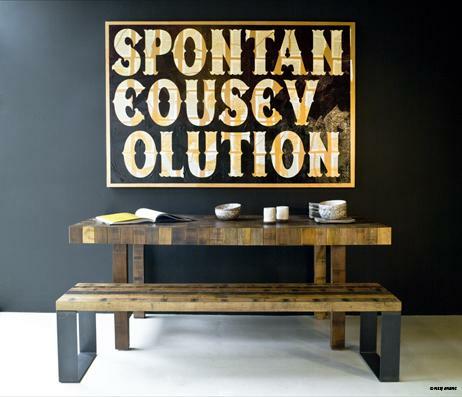 The Beam is composed from planks of Peroba Rosa, a Brazilian hardwood they reclaimed from barns, benches, and fences that once stood in rural Brazilian villages. 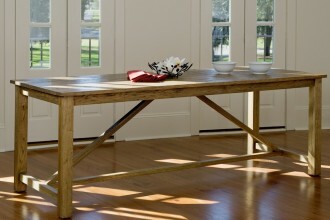 Made from reclaimed Dunnage Wood the Butcher Table is one of our favourite Environment products. A triumph of allowing functionality and material shape design. Wonderful. That said, we love all their tables. 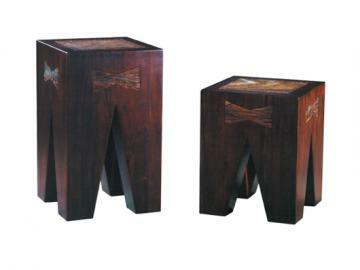 This is the Leblon End Table, complete with an inlay of naturally weathered Peroba Rosa wood set into the table top. 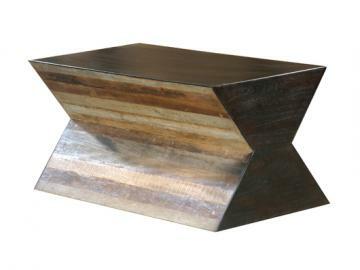 And this is the Campinas X Side Table made from Mahogany from Tropical Forest Trust (TFT) approved suppliers and reclaimed Brazilian Peroba Rosa. We may have mentioned that we love shoes, bags and scarves almost as much as we like furniture. Well Environment don’t do shoes, but.. 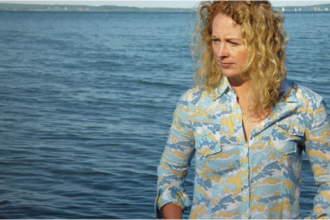 But they do do scarves made of organic hemp that has been organically dyed and beautifully hand stitched in California. Available in white, charcoal, plum, olive and sand. And we think we should get one for doing this long plug for you, Environment!! And when you are taking this bag you know the weekend is going to be good! 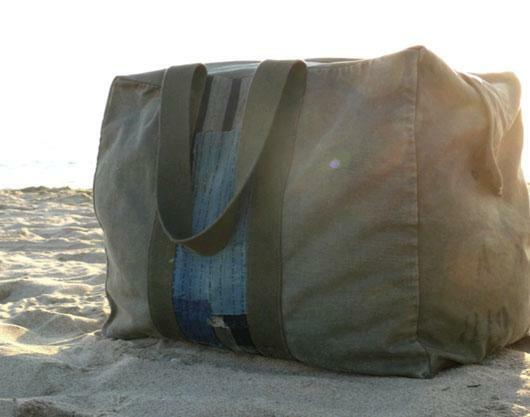 The Boro Weekender is built from vintage U.S. military fabrics and WW2 hardware. 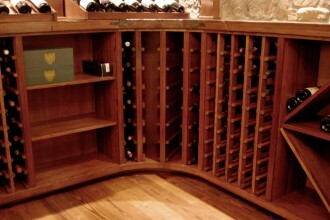 Each piece is designed, cut and built individually in California. And finally, as ever, to the bedroom. 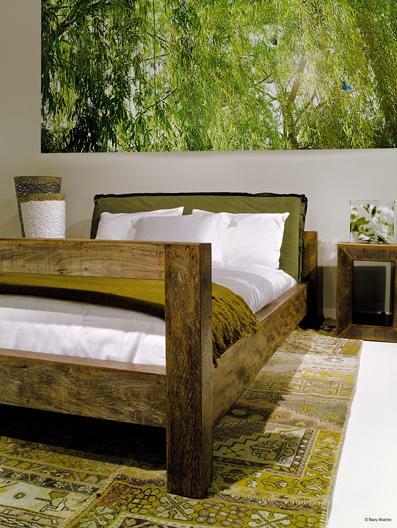 The Edge Bed is described by Environment as like driftwood floating peacefully out at sea. 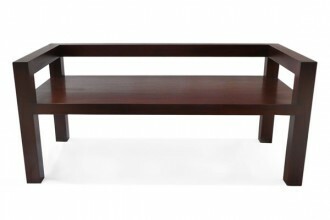 An extra wide platform that eliminates the need for end tables or a bedside bench. Four sliding drawers underneath serve as perfect hideaways for blankets and sheets, while the bench-depth ledge surrounding the bed offers space to place bedside reading. And the Montecristo Bed made from reclaimed Brazilian Peroba Rosa; Headboard Cushion- recycled army tent canvas, Grade 2 linen, or leather. it is true that nature is a best designer. Because of you can get lots of themes from nature. The nature design also looks piecewise and attractive.